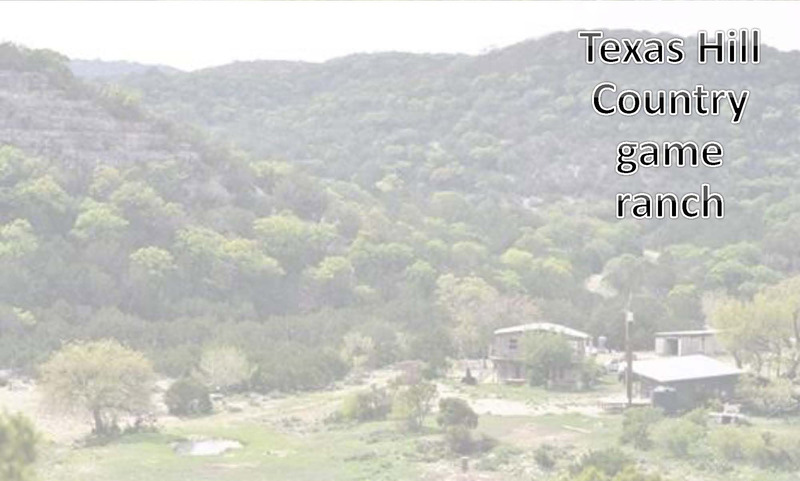 The Haecker Safari Ranch is located in the beautiful and majestic “Texas Hill Country” nestled remotely in the center of Real County between the towns of Camp Wood and Leakey, TX. approximately 2 hours drive west of San Antonio International Airport near the headwaters of the Nueces and Frio Rivers. Among a diverse and unique ecosystem abundant conifers, cedar and oak trees as well as cacti grow upon the rugged hills and alongside there are numerous free­flowing springs and creeks that fill the nearby rivers. 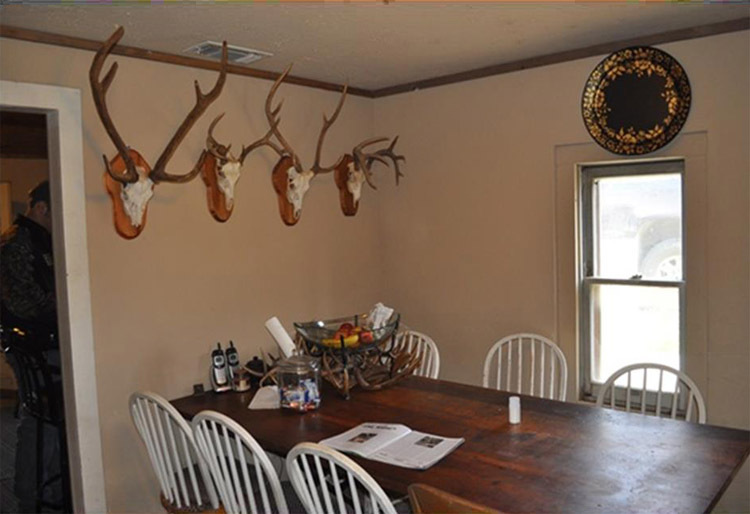 This offers a unique and pristine hunting environment with a wide variety of Free­ Ranging Exotics, Native Game, Wild Hogs, Rio Grande Turkey, Predators and Varmints. 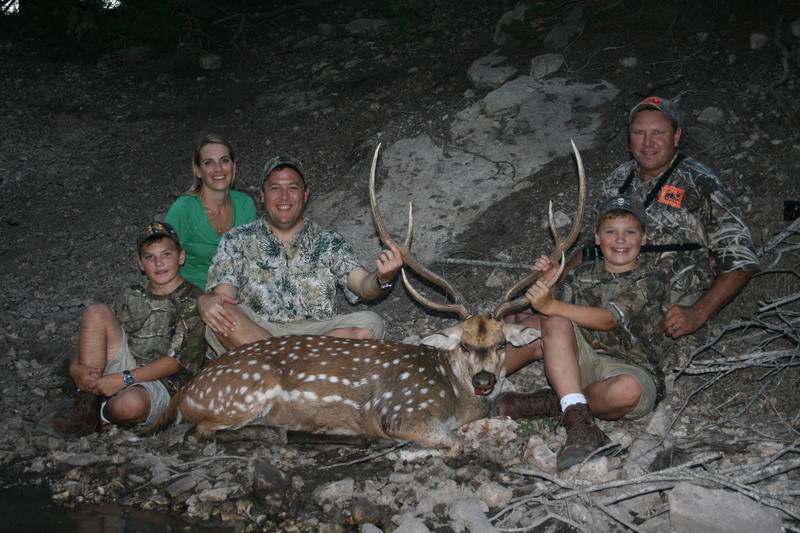 The Haecker Safari Ranch is a premier hunting destination and a most extraordinary place to see. The Main Lodge itself is historic, built over 100 years ago upon ancient Indian grounds that are still visible today. 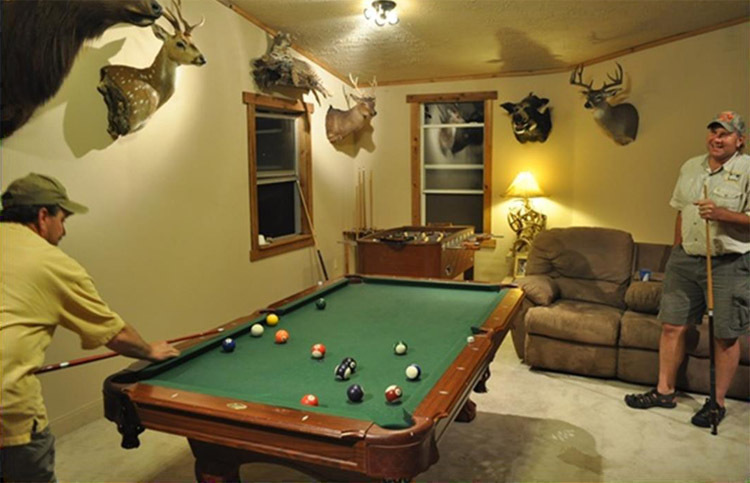 The main Lodge has a rustic comfortable charm with all the modern conveniences of home including: Central A/C and Heat, WIFI, Big screen TV’s with Dish Satellite a large upstairs Game Room with Pool Table, Foosball, Poker Table and plenty of room to entertain Friends Family or Clients. 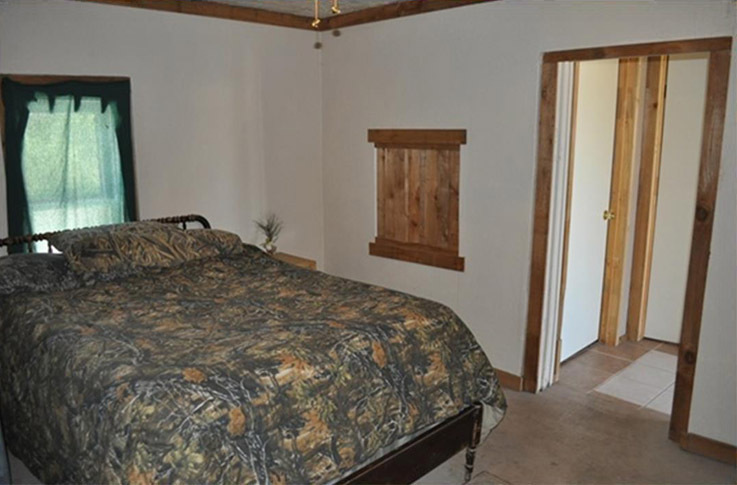 The Lodge and the stand alone Bunkhouse with full kitchens, bathrooms and more can comfortably sleep up to 20 guests. Outside you will find a full game cleaning station with walk in cooler, ice machine, wading pool, multiple decks and lounging areas to relax and take in nature and at night relax around the Campfire with your favorite beverage and enjoy the moon and stars under our “Big Texas Sky”. The ranch is privately owned by the Haecker Family and offers some of the finest “Fair Chase“ “Free Range” hunting in the world in an area known for having the highest density of “Free Range Exotics in Texas”! Supplement that with our intense management plan and feeding program we have consistently provided our hunters with the opportunity of taking Trophy animals “Hunting Year Round”for many years winning numerous awards and hunting contests. We primarily hunt from comfortable large 2-­4 man tower stands and ground blinds strategically placed which allow our hunters a better chance of making an ethical shot with less stress on both hunter and animal alike! 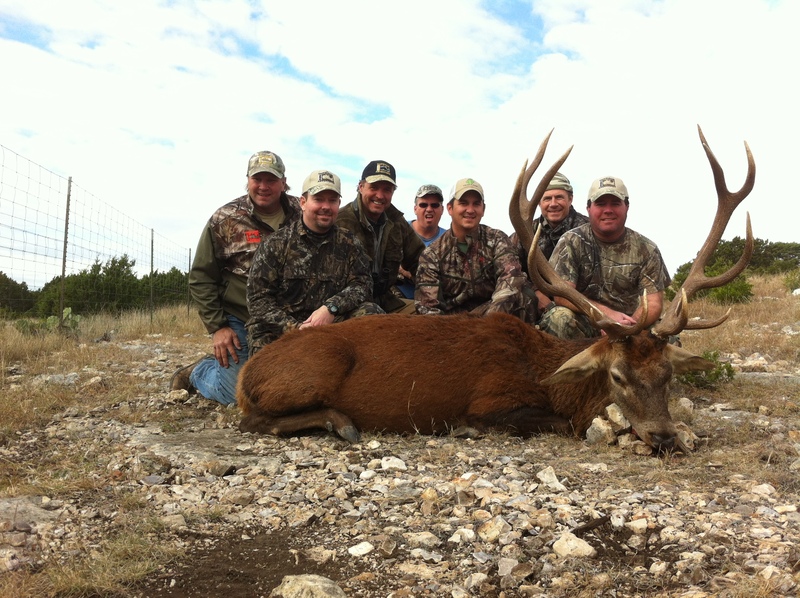 We also offer “High Fence”preserve style hunting on the ranch for a larger variety of game including not only “Super Exotics”but also “Boone and Crockett Whitetails”. We cater to all types of hunters from the most experienced to the novice, physically fit or disabled, young or old, gun or archery, individual, group, family or corporate hunts can all be tailored to suit most any budget or conditions with advanced notice and planning (See Price List). 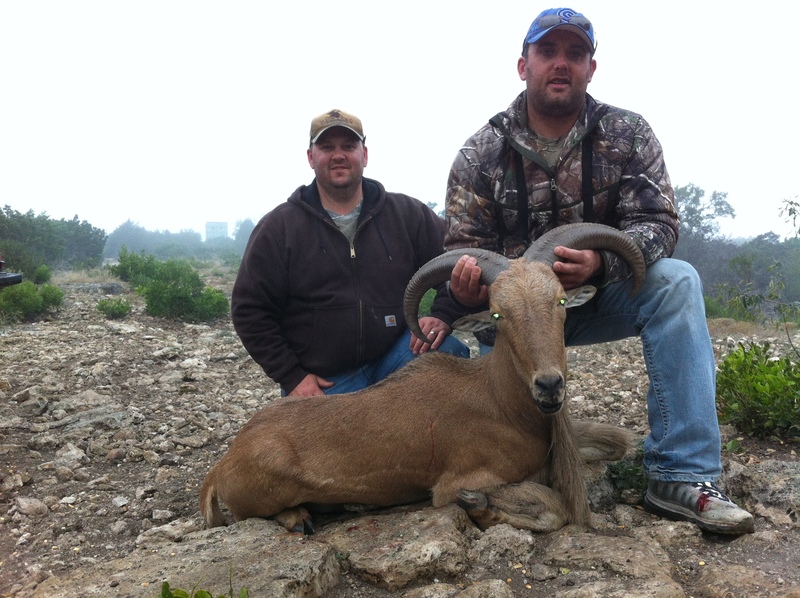 This offers our hunters a very challenging and rewarding experience to hunt a variety of animals from all over the world without the huge costs associated with traveling to many destinations as they pursue with the help and expertise of our professional staff of guides the Trophy or Trophies of choice! With this said we are “Hunting” and the animals always have the advantage so in the end we cannot “guarantee” the success of a hunter with so many variables that are involved such as weather, animal movement, hunters ability, etc…. We try our best and offer all of our guests a true “hunting” experience and an “adventure” they will always remember in a family friendly “Christian” environment on some of the most beautiful and breathtaking land ever created! Please join us as our guest leave as a friend and become part of the Rhino Outdoor Adventures family………we look forward to hearing from you and planning your adventure! God Bless and Good Hunting!